San Francisco architect Eliza Hart will be speaking in a panel discussion about women in architecture. She is excited to be chosen for this role as a woman owner and founder of the architecture firm Hart Wright Architects. 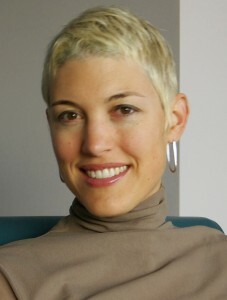 Principal Eliza Hart has separate masters degrees in both Architecture and Urban Planning from UCLA. The AIA has many dynamic programs throughout the year to build awareness of issues in the architecture profession as well as to explore the built environment. Popular programs such as the San Francisco Home Tours and the annual Design Awards educate individuals about good design in the San Francisco Bay Area. “The Missing 32%” is a seminar program with speakers from many different career paths, including Eliza Hart who chose to start her own firm, Hart Wright Architects. They will be discussing architecture firm leadership, current statistics in architecture firms with respect to women and will work to define the role of women in architecture. The program gives members a chance to earn educational credits and takes place October 13, from 10:00 AM to 4:00 PM at Timken Hall on the California College of Arts campus in San Francisco. Principal Eliza Hart has separate masters degrees in both Architecture and Urban Planning from UCLA. Before forming HWA, Eliza was employed at S.F. Bay Area firms Studio Bergtraun Architects and Sagan Piechota Architecture. She has worked on a variety of residential and commercial projects, including remodels as well as new construction; with extensive experience spanning the full range from schematic design to construction documents to construction administration. Eliza also has a background in urban design and worked in Los Angeles with urban designer, architect and author, John Kaliski on a variety of projects. Her B.A. is from the University of Pennsylvania. She is a member of the AIA, Build it Green and is on the Steering Committee of OWA, the Organization of Women Architects. Eliza’s partner and architect, Stuart Wright, has worked on a broad range of architectural projects and bridges the gap between design and building. Prior to forming HWA, Stuart worked at Studio Bergtraun Architects, and before that at Sagan Piechota Architecture, specializing in modern residential projects. He is attentive to detail and knows that details are his best architectural expression. Stuart received his Master of Architecture at UCLA and studied at the Technical University in Vienna, Austria and at Studio Daniel Libeskind in Berlin, Germany. He holds a B.S. in Architecture from the University of Michigan. Hart Wright Architects is a green architecture, urban and landscape design firm based in San Francisco serving clients in Palto Alto, Atherton, Napa, Mill Valley and most of the Bay area. Through all phases of design and construction, HWA is committed to excellence in architectural design solutions, active problem solving, and the highest standards of client service. They recently became certified DBE as a woman-owned architecture business. This press release was prepared by Bobrow Consulting Group (BCG) for Hart Wright Architects. BCG works with building design professionals to build their business by optimizing their online strategy, offering their popular architect marketing course training as well as web design and SEO consulting services.